The life and works of Teodulo Protomartir, the Father of Philippine Photography, is featured in “Proto Photo Educator Protomartir,” an ongoing exhibition at the De La Salle-College of Saint Benilde. 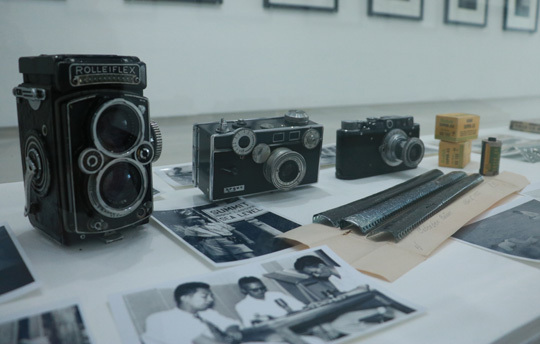 The cameras used by Teodulo Protomartir and the original negatives rescued by the late film and television director Rosauro ‘Uro’ Dela Cruz. Organized by the college’s Bachelor of Arts in Photography Program, the exhibition showcases Protomartir’s contribution to the development of contemporary Philippine visual language and photography and attempts to define a chapter in the Philippine photographic history. Protomartir actively promoted the use of rangefinder cameras before the war. Further, he was one of the first Filipino photographers to popularize the use of the 35-mm film format in the country. In the 1930s he started a photography club called the 35mm Club Manila. He also had a radio show dedicated to photography. The gallery highlights over 60 photographs which depict a slice of life in the 20th century. It is likewise a partial story of early Philippine amateur photography. The collection, consisting of negatives, prints, and albums which contained some relevant documentation, reveals the culture of Salon Photography. Photographers who had “liberated” themselves from the traditional media called their exhibition spaces Salons to differentiate themselves from the traditional galleries. This gave rise to a particular, and clearly American genre of amateur photography: the Salon style photograph. The snapshots were from original negatives rescued by the late film and television director Rosauro “Uro” Dela Cruz, with the intention of conserving it for the generations to come. Many of the negatives were in pitiful state. Most suffered from “vinegar syndrome,” a phenomenon which happens when the plasticizer in the film base escapes into the air and leaves it in a very brittle state. 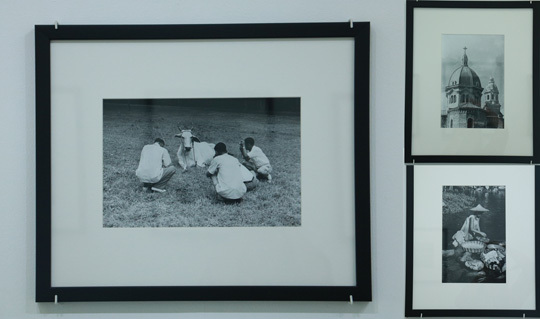 Part of the exhibition, curated by photographer Roderick “Jay” Javier, is an installment of a series of essays that will complete what Dela Cruz sought to achieve—to contribute to the history of the Philippine photography. On display are snapshots from original negatives Uro Dela Cruz rescued and intended to conserve. The exhibit is open to the public until April 24 at the Photography Gallery on the 11th floor of School of Design and Arts campus, Pablo Ocampo St., Malate, Manila. Contact Hannah Faderon at (02) 230-5100 local 3820 or email [email protected] for more information. Topics: Teodulo Protomartir , Father of Philippine Photography , Proto Photo Educator Protomartir"